The long awaited pattern change is here. The first shot for snow we have comes Friday night and Saturday morning. It's by no means a sure thing, however. 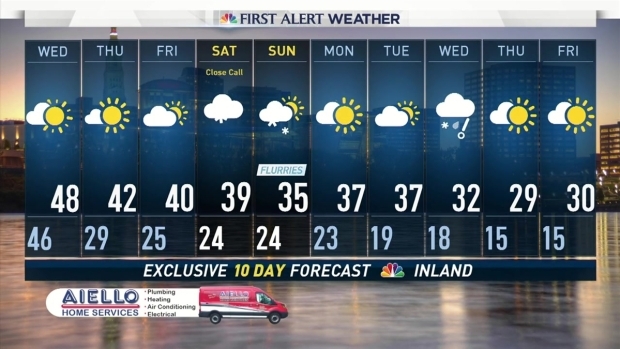 Tonight during our evening newscasts I gave the system about a 1 in 3 shot of producing accumulating snow in Connecticut. Here's the setup. A large area of moisture offshore along with a stationary front will be lurking nearby Friday night and Saturday morning. At the same time a jet stream disturbance will race north and may help nudge the offshore moisture back west. 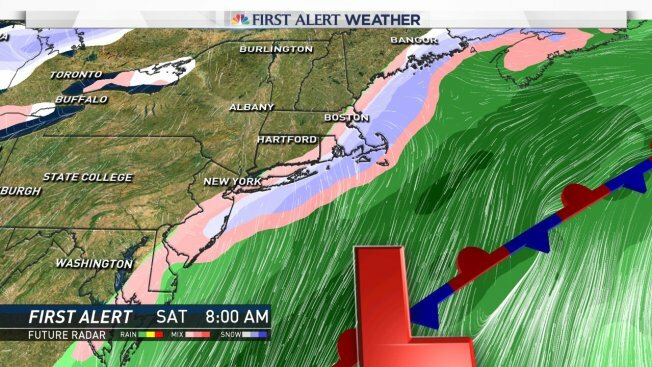 With enough cold air this would likely be snow in Connecticut. So what is going to happen? At this point I don't know. There is certainly some opportunity for this offshore system to back in a bit and deliver accumulating snow. In fact, the back edge of this system is giving our computer modeling a heck of a time. 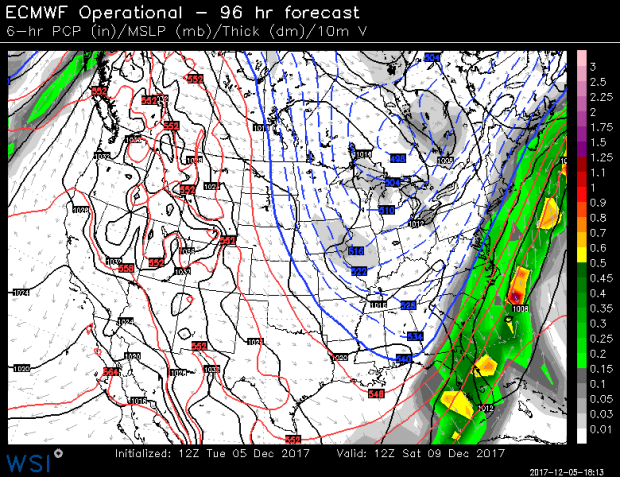 Check out the 20 GFS ensemble members (the GFS computer model is run 20 different times at slightly lower resolution top provide a reasonable range of solutions) below. You'll see accumulated snowfall plotted for Hartford here (each line indicates one of the ensemble members with the thick black line being the mean). This shows a significant spread with how far west the offshore moisture will get. Anywhere between 0.0" and nearly 8" of snow! Other computer models don't show quite as much spread with a more minor event. So for now it's sort of wait and see. 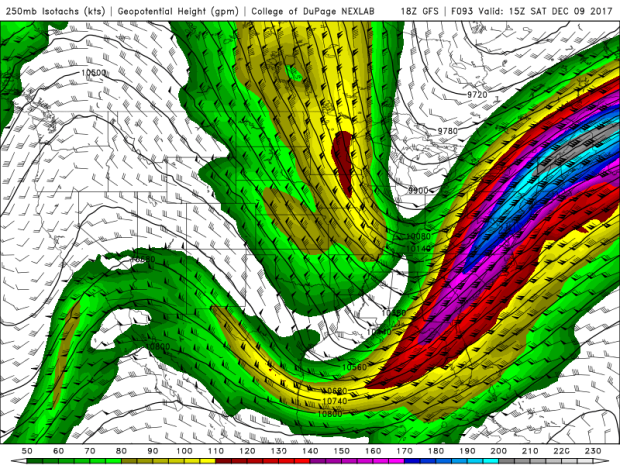 How sharp can the jet stream disturbance get and how far west the offshore blob can move. Until the model spread shrinks all options are on the table from no snow to nuisance snow to plowable snow.